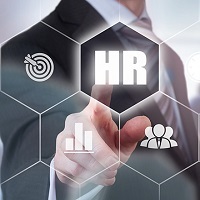 The task of an HR Consultant is to manage the manpower recruitment process of an organization. They ensure that the human capital of an organization serves the best of their interests. We, FRANKLIN JOBS, are located in Coimbatore (Tamil Nadu, India) and offering the most reliable services of our experienced HR consultants to diverse organizations. Our consultants are capable of handling diverse tasks such as developing a human resource model that is specific to the organization, developing, revising, and implementing the HR policies and procedures, conducting audits of HR activities, and others.